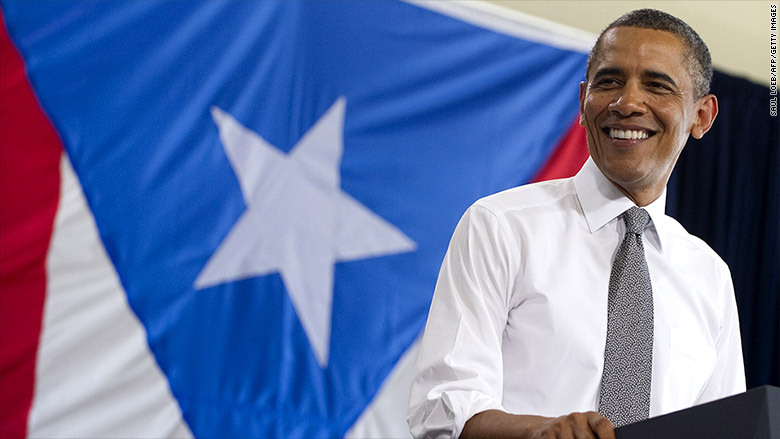 President Obama is trying to rescue Puerto Rico from its debt crisis. But the White House's lifebuoy may not make a difference in the end. Congress has to approve the plan and that appears unlikely. The Obama administration announced its support Wednesday evening for Puerto Rico's cities to gain access to the same bankruptcy rights as cities in all 50 U.S. states -- Chapter 9 bankruptcy. Puerto Rico's governor has been begging Congress for the bankruptcy option. But even if Puerto Rico got Chapter 9 rights, it would only cover about a third of the island's $72 billion debt. To help out with the rest, the White House also proposes a clear legal framework for U.S. territories like Puerto Rico to do debt restructurings going forward. Some are calling it "Super Chapter 9" rights. It's the biggest support Puerto Rico has received since it defaulted on its debt in August. The island's politicians have repeatedly said they can't pay back all the debt and that they will soon have to chose between paying government workers and pensioners or paying bondholders. A few members of Congress, including New York Senator Chuck Schumer, have advocated in favor of giving Puerto Rico the same bankruptcy rights as U.S. states. Hillary Clinton, Bernie Sanders and Jeb Bush also support the idea. But the majority of Congress has little interest in passing any reforms. Bondholders have lobbied Congress not to give Puerto Rico Chapter 9 bankruptcy rights, fearing it would force creditors to take a major discount or "haircut" on payments. Chapter 9 would allow Puerto Rico to negotiate in a court with bondholders. Right now it must negotiate individually with holders of its vast array of bonds. That's very different from Detroit's bankruptcy. It reduced lots of debt when it declared Chapter 9 bankruptcy because cities in Michigan have Chapter 9 rights. Towns, institutions and cities in Puerto Rico don't have those rights. On Wednesday, Puerto Rico announced the recent talks with its creditors had failed. Puerto Rico's governor, Alejandro Garcia Padilla, spoke Thursday at a Congressional hearing, where he urged Congress again to provide Chapter 9 bankruptcy. But even Padilla argues that Puerto Rico needs more than Chapter 9. "Even if serious action is taken...Puerto Rico will still face a funding gap of approximately $14 billion over the next five years, which will require substantial debt relief," Padilla said Thursday in prepared remarks. The argument from bondholders and critics is that Chapter 9 would take away the pressure for Puerto Rico -- which has overspent for years -- to enact fundamental reforms to improve the economy. "In the future, there may be a role for Congress to play. In the short-term, however, Puerto Rico's local government must prove that it can implement real change," says Carlos A. Colón-De Armas, economist at the University of Puerto Rico and former official of the island's central bank. Puerto Rico has been in recession for several years. Unemployment is rising and many educated Puerto Ricans are leaving the island and moving to the mainland U.S. The White House also urged Congress to provide equal Medicare and Medicaid funding to Puerto Rico that U.S. states have. Medicaid funding for Puerto Rico could expire soon, which would leave 600,000 Puerto Ricans on the island without coverage.